Made up of Oakland-based educators Rosa González, Simón Hanukai and Luis "Xago" Juárez, headRush seeks to inspire social action within working class communities through guerrilla-style performance. They combine elements of Chicano Theatre and Spoken Word Poetry to create a unique rush of psycho-politico satire. 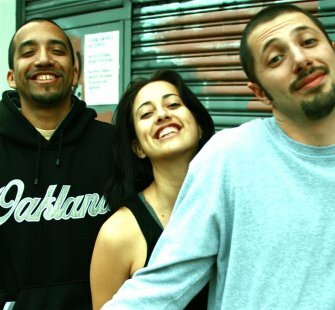 After making their debut at Oakland's Jahva House in September of 2003, headRush has been going strong, performing in schools, cafés, streets, community events and theatres throughout California and New York City. engage playfully with their subjects onstage while promoting collaboration and dialogue with individuals and organizations offstage.